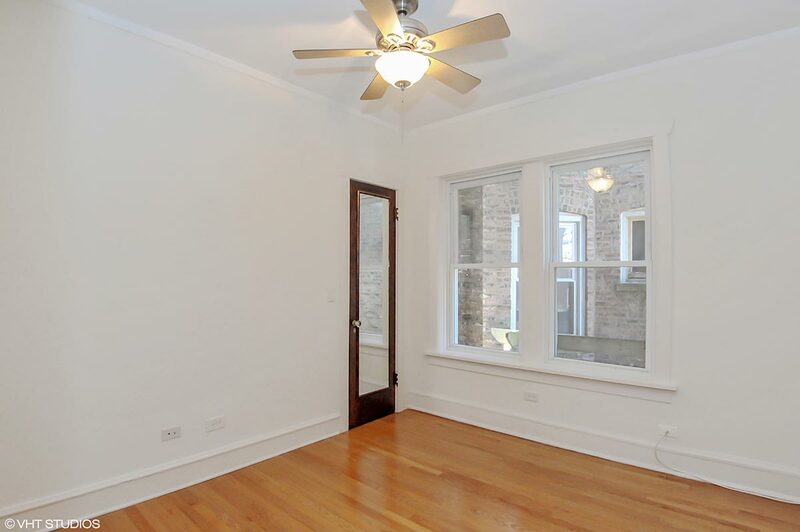 Eco-Andersonville is just the coolest place to live right now in the City. Called a “quaint neighborhood in the middle of a world-class city” – compost, support Gay Rights, host the MidSommarFest and Wine Walk, Organic Farmer’s Market. They are big-time supporters of Small Businesses, so downtown doesn’t look like any other neighborhood. 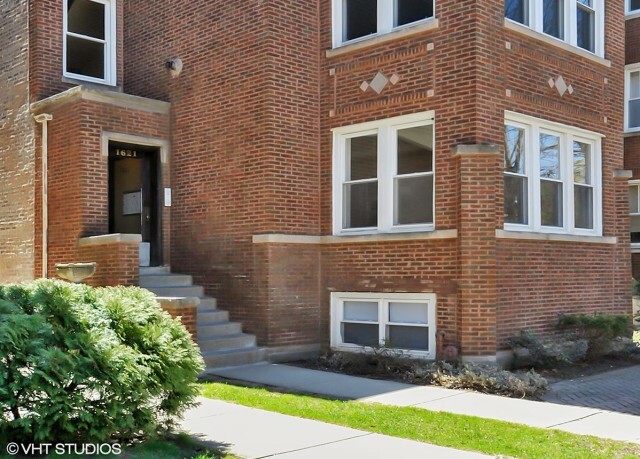 1621 W. Rascher – a traditional Vintage 4-flat where every owner occupies one full-floor of living space. 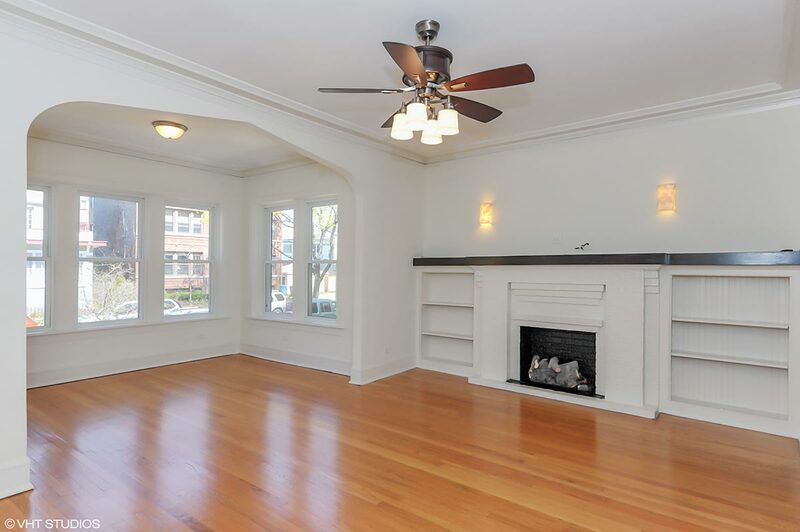 Check out this spacious Living Room/Den combo, its charming head to toe! The fireplace and shelving is original circa 1916 – today it’s a great space to place a plasma tv and stereo system. 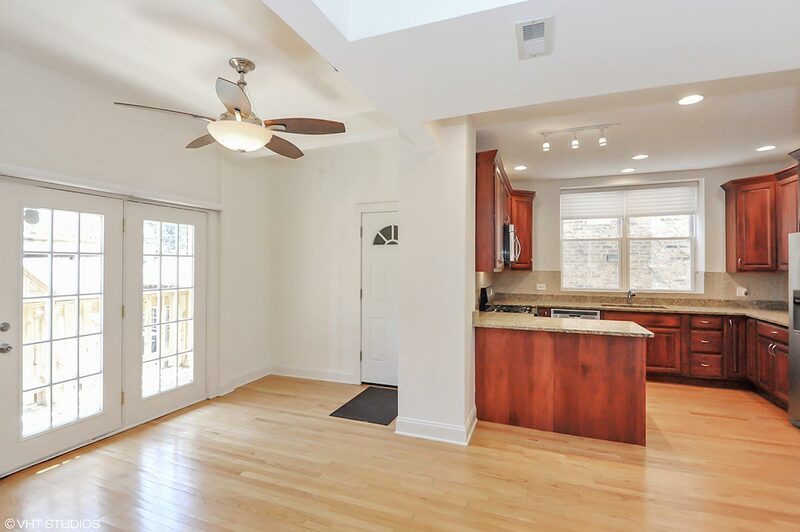 The Kitchen-Dining Room is a great space for family dining and al-fresco grilling! 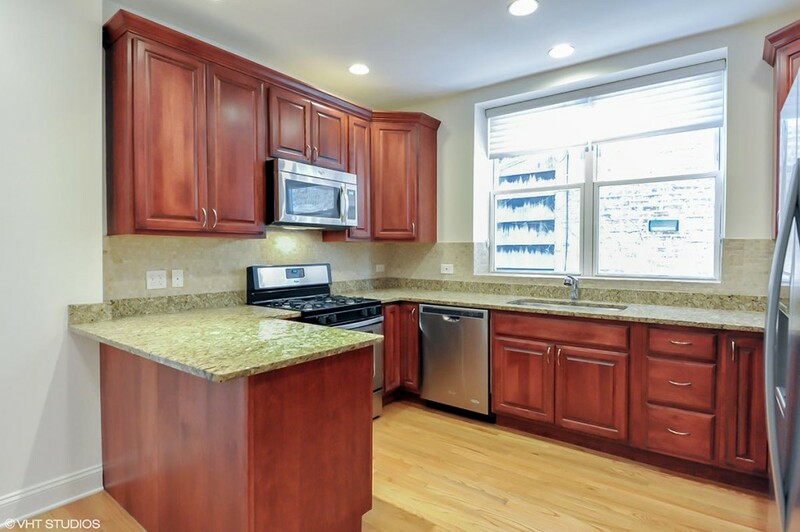 Beautiful 42″ cabs and granite counters – perfect for the budding chef in your family…. All new Stainless Steel Appliances (never used – be the first!). 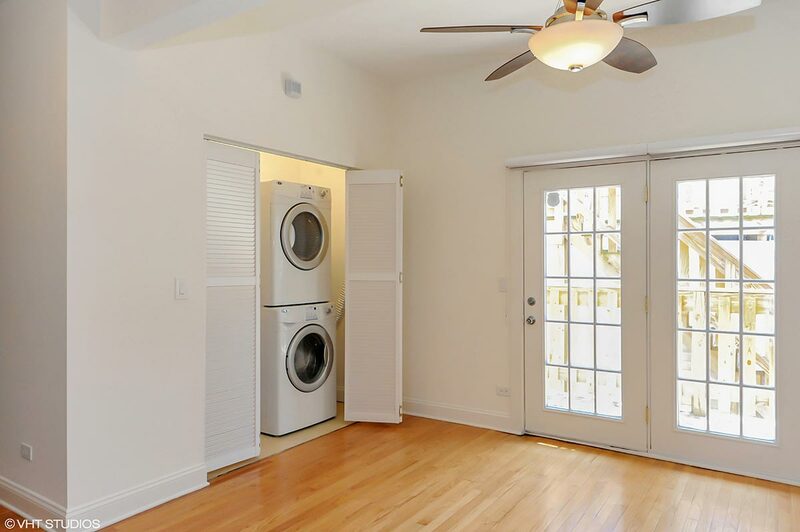 Full-size laundry and room to add shelves – space you’ll use. 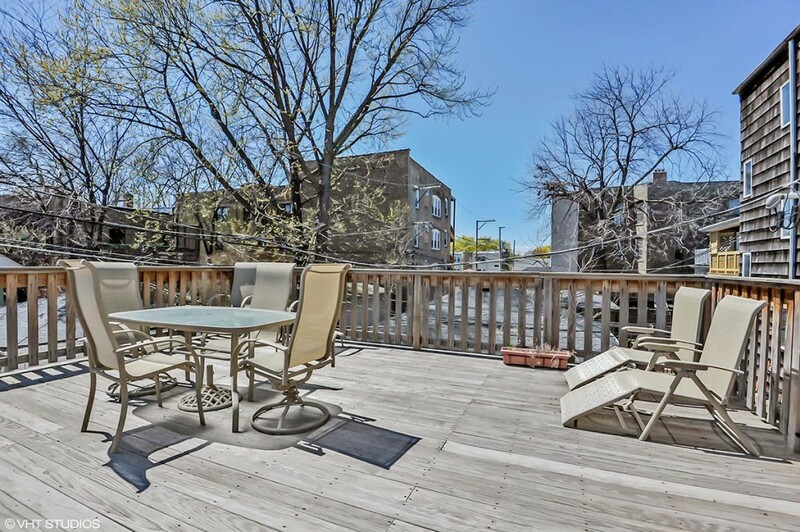 Hang out back on this shared common Deck and enjoy the Good Life! Master Bedroom – Big, ample closets and quiet too. A good place to rest at the end of a long day! 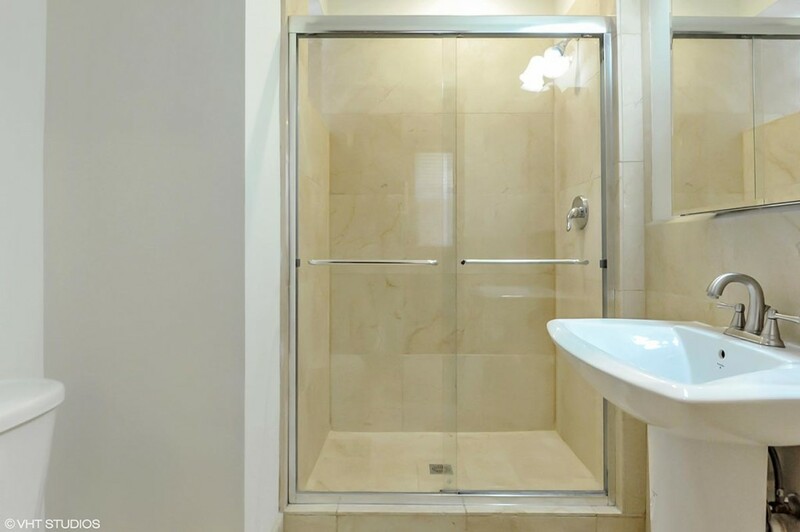 The Master Bath is pretty sweet – all Marble, simple and timeless. 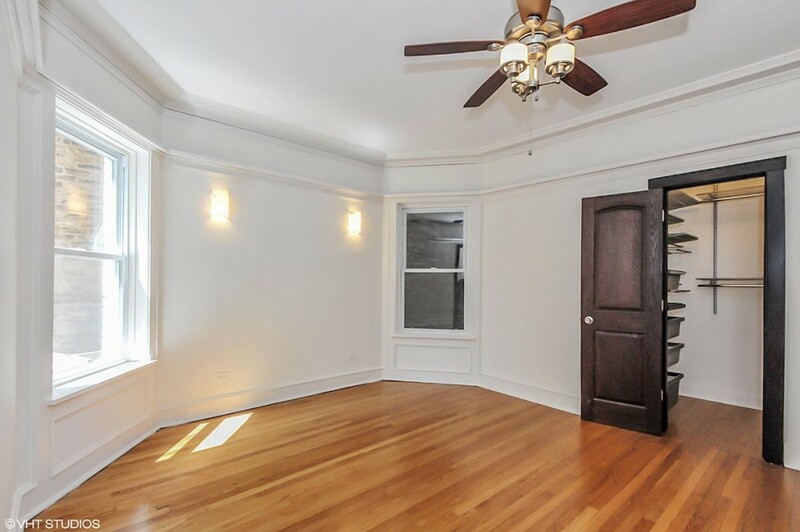 Second & Third Bedrooms are well-proportioned and well-lit. 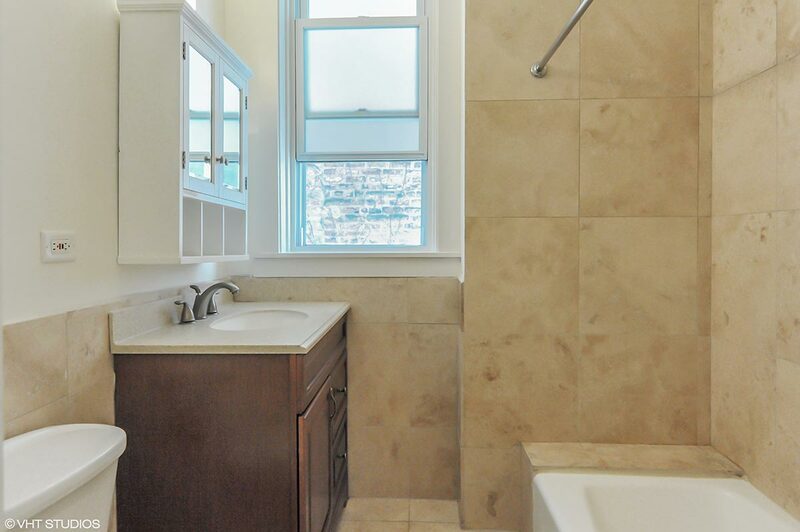 Second Bath – smart and Classy – all marble tile throughout, white fixtures.